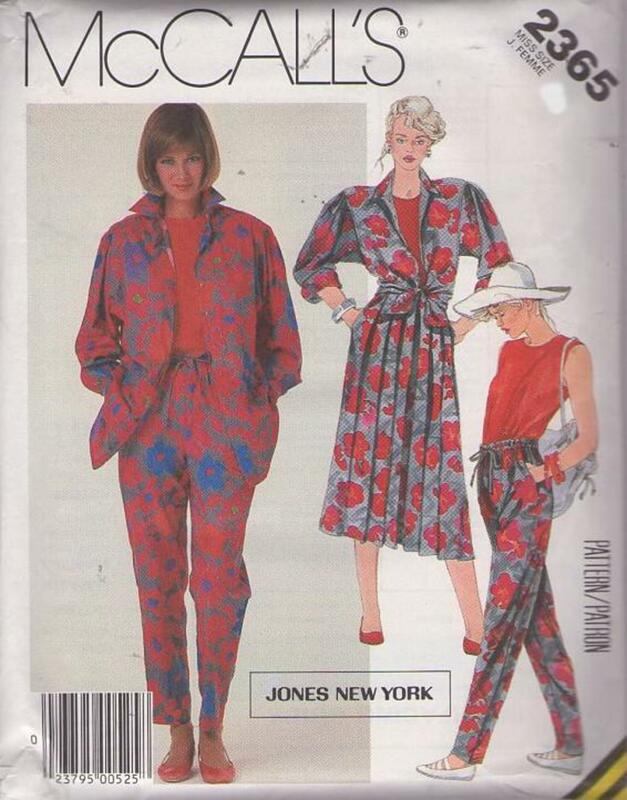 1986, 80s Casual, Retro Separates Clothing Patterns - MISSES' SHIRT, TOP, SKIRT AND PANTS: Loose-fitting shirt, with concealed button front closure, has back gathers, self-lined back yoke with forward shoulder seams, collar with neckband and shirttail hemline; long sleeves with buttoned cuffs, gathered caps and underarm gussets are set into deep armholes. Sleeveless pullover top has buttoned back neck opening and uneven hemline. Shirt and top have top-stitch trim. Skirt has soft front and back pleats, pockets in side seams with opening in left side, and waistband. Tapered pants have slanted inset pockets and elastic and drawstring in waistline casings.